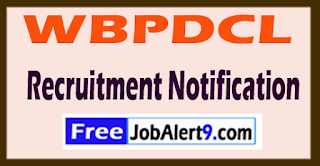 WBPDCL (West Bengal Power Development Corporation Limited) Has Released Recruitment Notification For 04 Executive Director Posts. All Eligible And Interested Candidates Can Apply Offline On Or Before 21-06-2017 (21st June 2017). Further Detailed Information Regarding Educational Qualifications, Age Limit, Selection Procedure, Exam Pattern, Syllabus for WBPDCL (West Bengal Power Development Corporation Limited) Recruitment 2017 - 04 Executive Director Post is mentioned below. Candidates age should be between 52 to 58 -Years As on (01-05-2017). Candidates should have done Graduation Degree / Engineering Degree or its equivalent qualification from a recognized university. Rs. 37,400 - 67,000/- With 10,000/- Grade Pay . All Eligible & Interested candidates Can Download application Form through official website (http://www.wbpdcl.co.in). After Filling The application form, candidate must send by hard copies of application along with relevant testimonials (Mentioned In Detailed Advertisement) to the following Address before or on (21st June 2017). After Filling The application form, candidate must send soft copy of application along with relevant testimonials to the following Email Address before or on (21st June 2017). Director (HR), The West Bengal Power Development Corporation Limited, Bidyut Unnayan Bhaban, Plot No. 3/C, LA-Block, Sector-III, Bidhannagar, Kolkata – 700098 . Deadline to Submit the Application Is - 21-06-2017. 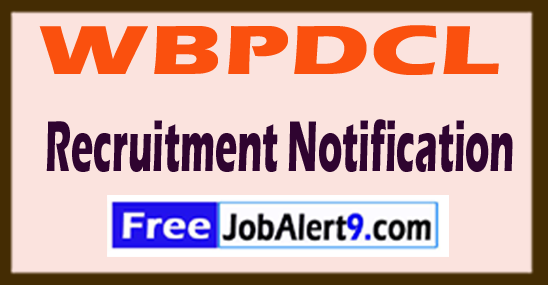 Click Here For WBPDCL Recruitment 2017 ,Advertisement.